I don’t normally blog about about what I do personally but the past 3 weeks have been really great. Being in the Internet Marketing industry allows me to travel and conduct my business from almost anywhere in the world. It started with me attending the Mighty Man Conference outside Greytown with my son Francois Junior & son in law Nick. We were with a group of 16 friends amongst a crowd of over 250,000 “men”. 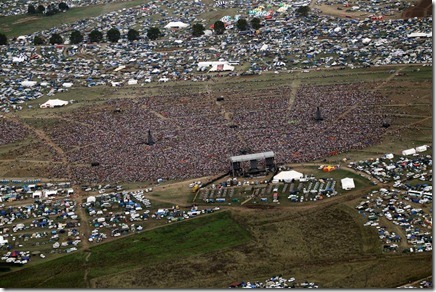 Here is an aerial photo of the venue and the campsite. 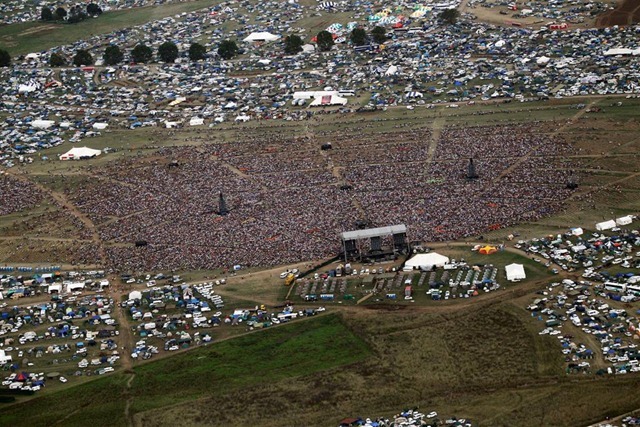 Just like Woodstock in the 70s. One message that struck home was that we are all too busy in our jobs today and Angus Buchan said we should find more time for ourselves. He coined the phrase “I am to busy to be in a hurry”. I like that as it suggests one should not be distracted by rush jobs that always seem to take priority. 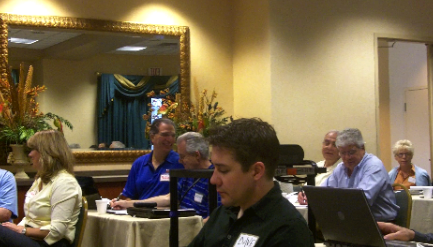 Straight after the weekend my wife Marianna & I flew to Orlando where I was conducting a 2-day Internet Marketing training session for 45 USA Internet Consultants. We had a free day on either side of the training and went to Epcot & Disney when we arrived. It was a great session and meeting the WSI Internet Consultants again just strengthens the networking opportunity that the WSI Franchise offers. We are indeed one big family and we freely share information that makes us stronger as a group. After the training we were scheduled to travel to Bogota, Colombia for another training session there. 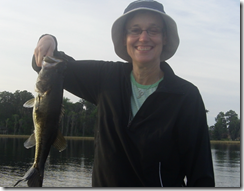 In the morning before our flight I booked Marianna & I to do some bass fishing. Captain Skip picked us up and we had a great morning of fishing before our flight to Bogota. You can see who caught all the fish. Elite Car Service Bogotá. www.elitecarservicebogota.com. I can highly recommend his service. He fetched us at the airport, was really friendly and told us about travelling in Bogota on the way to the hotel. The next day Hugo Valderrama & his son Carlos Valderrama fetched us from the hotel and took us on a tour of Bogota. They were such great hosts and made us feel so welcome that we definitely would like to go back to Colombia. 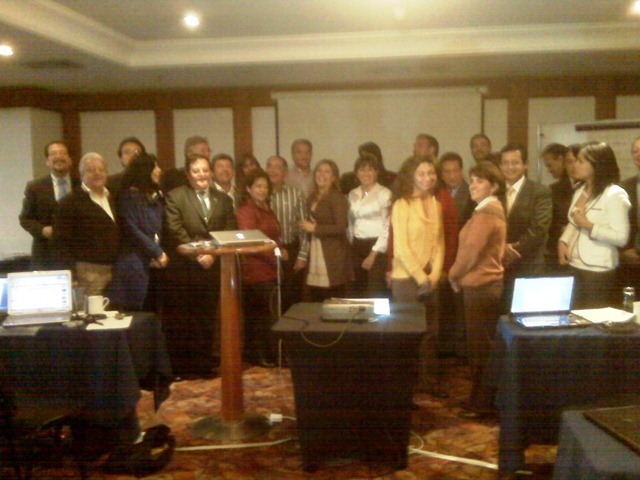 Here is a photo of the Colombian WSI Franchisees. And 60 seconds of Spanish introduction by Hugo Valderrama. After the training Karen Sullivan-Correa & her husband Umberto took us for dinner with Violeta Otava. We had a great meal and felt safe walking the 10 blocks to the restaurant. Colombia was a real surprise, the people we met were so friendly and made us feel very welcome. Marianna & I have great memories from here. 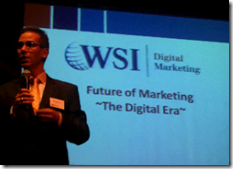 So straight back to South Africa to get ready for the Internet Marketing Summit and WSI Digital Marketing training at Montecasino. 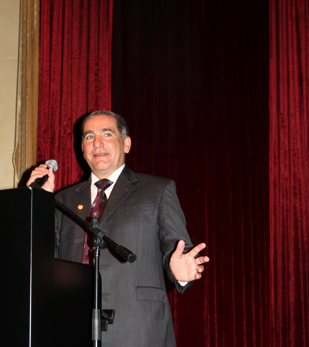 We had 90 people attend our morning summit and we had some great speakers. My good friend Jacques De Villiers, client and professional speaker was our MC and did a great job by taking the pressure of us and handling the event in a professional manner. 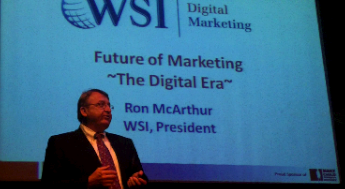 Ron McArthur, the president of WSI opened the event and presented some interesting statistics on the Internet. He was followed by Michael Jackson, an International renown Keynote speaker and client of mine. 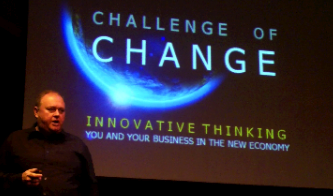 Michael delivered a powerful keynote on “Change”. His presentation was well received and many of the attendees commented on the great value of his presentation. Then it was my turn for the next 2 hours where I delivered an overall Online Strategy that every company can implement for success. 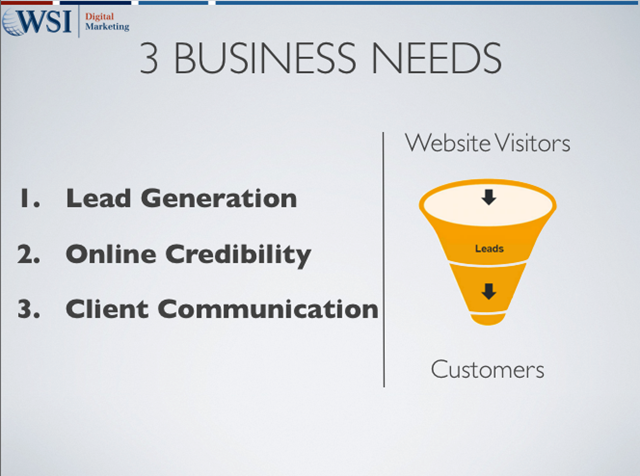 I covered the 3 essential requirements for the success of every business. I covered all the aspects of online marketing that I teach to WSI Consultants all around the world. 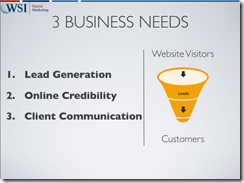 If you would like me to present to your company or clients just contact me and I will be happy to do so. 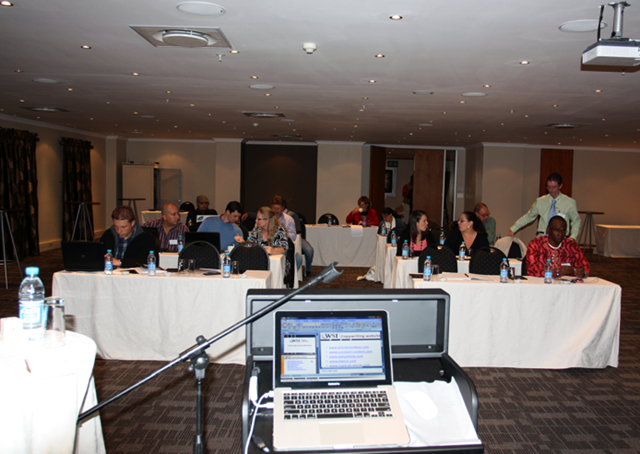 Straight after the Summit I started the Digital Marketing training for the South African WSI Franchisees. I really love working with our South African team as they are so positive and always willing to help each other. 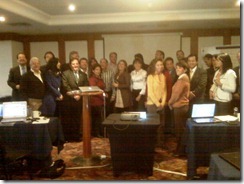 Together we are over 25 consultants and collectively we have great skills that we can draw on. As you can imagine I was bushed after this and need a break. Well, Marianna & I took Ron McArthur and his wife Debbie to Shumbalala private bush camp in the Thornybush Game Reserve. We had an unbelievable time and saw the big five, including a close experience with an elephant who took a fancy to me. Well that was a wonderful 3 weeks and I look forward to new adventures now that I am rested. My next trip is to Toronto in June for 10 days, then Los Angeles & Australia. We will include a stop over in Hawaii and I am looking forward to that.